Discussion in 'Readers Rides (SEAT)' started by Dannnnn, Feb 12, 2019. 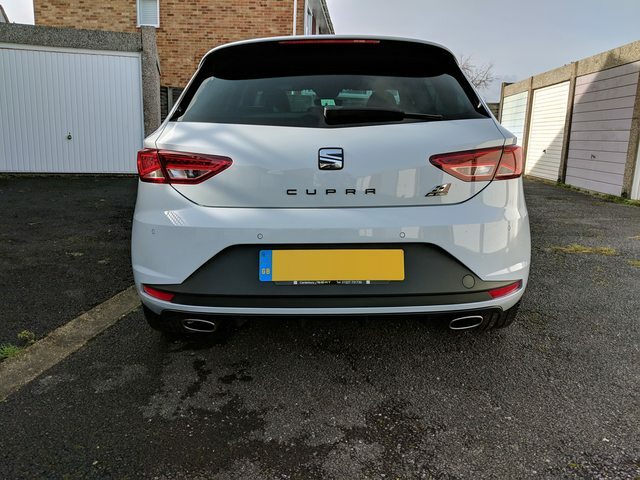 I'm fairly new here so thought I'd stick up a thread for my new Cupra. 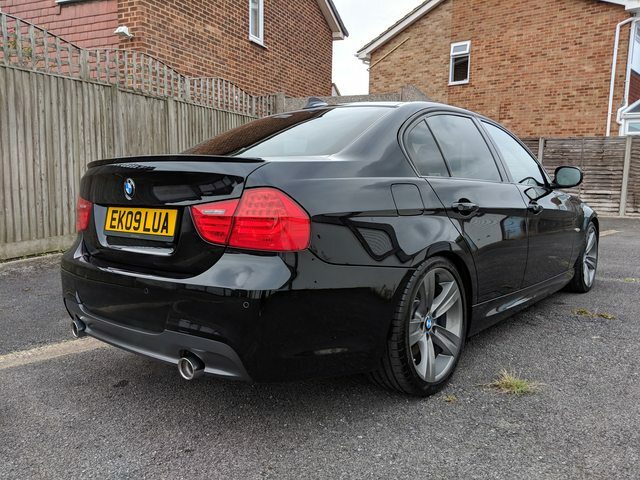 After 4 years of owning a BMW E90 335i, an increase in my mileage made me look at newer and more efficient cars (BMW averaged 20-22mpg on my commute and needed warranty as it was unreliable #N54life). 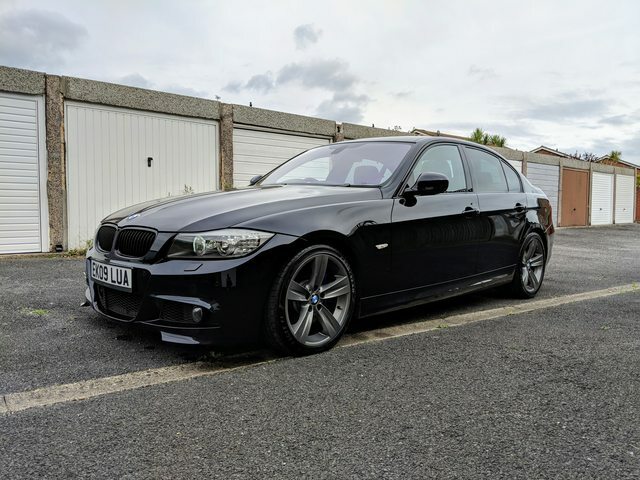 Combined with a new born baby (born 01/01/19) we decided that a hatch would be more practical than the saloon BMW. 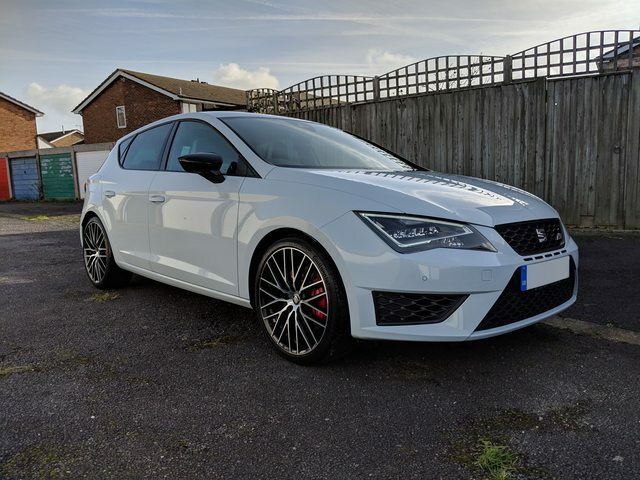 So I sold the 335i and got on the hunt for a Leon Cupra. 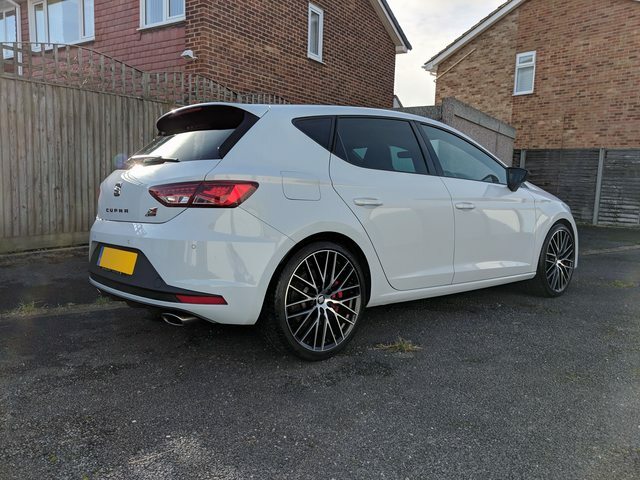 I found a few but most sold quite quickly or were too far away, so when one popped up in Kent with little description (Grey, 1 owner, x miles) and no photos on AT, I gave the dealer a ring and got the ball rolling. 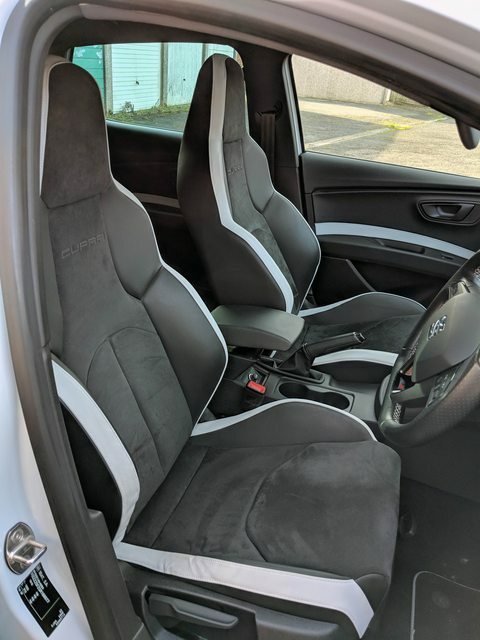 I knew that I wanted a white one, so the first question was "what colour grey is it? Is it the dark or light one". 10 mins later I had a phone call back saying it was in fact the light "Dynamic Grey".......Perfect. 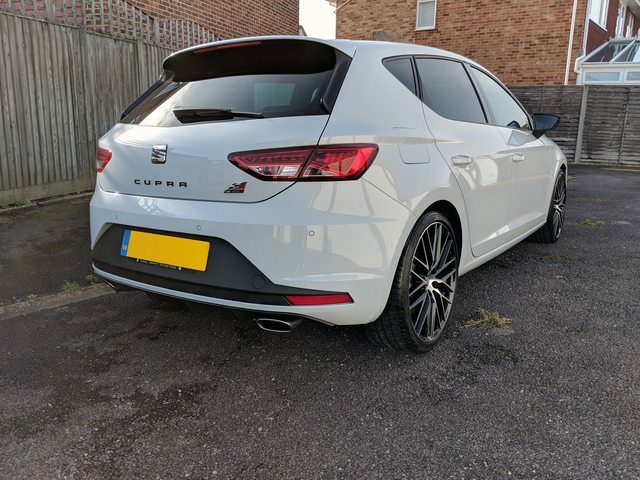 After a few more calls and chats with the dealer I decided I would put a deposit down to make sure it was mine. A week or so later I jumped on a train for the 3.5hr trip from Portsmouth to Kent and bought it. So far I've given it a wash and a seal and just been driving it. Nice. Literally just read your post on DW about this and was about to post on there as well! Great cars and as you note they can be made to look really good with some minor mods. Very nice looking motor, will be looking forward to see the changes you have planned. Check out the oldboy's thread for how you could go and see how "The Beast from the East" was created. Lovely 290 you have there! Looking forward to the updates!